BATESVILLE, Miss. 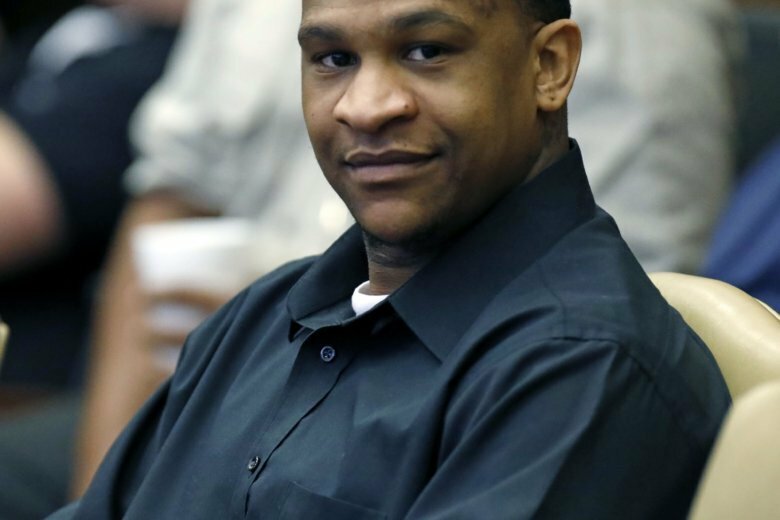 (AP) — Quinton Tellis is the man on trial for killing a Mississippi woman by setting her on fire, but much of the first day’s testimony focused on emergency workers’ reports that Jessica Chambers told them an “Eric” had attacked her. That testimony came Tuesday after prosecutors tried to plant doubts about what Chambers really could say with severe burns, calling a speech pathologist to say the 19-year-old Chambers would have lost her ability to speak clearly within minutes of being burned. Tellis’ retrial on capital murder charges began in Batesville after jurors couldn’t reach a verdict in a first trial last year. In his opening statement, Panola County Assistant District Attorney Jay Hale urged jurors to look to the other evidence besides what firefighters and paramedics say they heard from Chambers after they found her staggering away from her burning car on a rural backroad in December 2014 near Courtland. She would die hours later in a Memphis, Tennessee, hospital. “Once you hear all the evidence the state offers, you’re going to have plenty of evidence to convict him of capital murder,” Hale told jurors. But the Eric testimony was the cornerstone of Tellis’ defense in the first trial and defense attorney Darla Palmer told jurors to trust it. “This evidence is always going to show, it’s always going to say Eric did it, no matter what the state does to diminish that, and we would ask that you find Quinton not guilty,” Palmer said. “There is no way she could have produced an articulate sound soon after this inflammation started, this burn started,” she testified. But that was followed with a parade of volunteer firefighters and paramedics. Some say they couldn’t understand what Chambers was saying or didn’t hear. But six testified they heard her say Eric, identifying words and short sentences even though Chambers was speaking in a quiet, abnormally low voice they described as breathy or raspy. Panola County fire coordinator Daniel Cole was among the responders who concluded Chambers was dying. Hale said investigators were at a dead end when they re-examined Tellis, who had been an early suspect. Hale said investigators focused on Tellis after he changed his story and admitted he had been with Chambers later on the Saturday of her death. “Quinton Tellis had not been truthful to investigators,” Hale said. The 29-year-old Tellis faces another murder indictment in the 2015 stabbing death of Meing-Chen Hsiao in Monroe, Louisiana. He’s already pleaded guilty to unauthorized use of her debit card. The 29-year-old Tellis is currently serving a prison sentence in Mississippi on an unrelated burglary charge.